Modern four-wheel drive vehicles are powerful and sophisticated machines, able to travel almost anywhere. Given their growing popularity with recreational drivers, there is an even more pressing need for adequate training. Even on sealed roads these vehicles require a different set of driving skills: off-road the demands are many times greater. 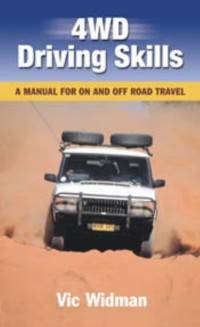 4WD Driving Skills concentrates on the essential skills of four-wheel driving for every type of off-road terrain as well as sealed and unsealed roads. It explains what makes a four-wheel drive vehicle different, how to approach challenging situations, and shows what to do if things go wrong.